"My First SPAM® Brand Cup"
A must for every child! Their very own SPAM® Brand cup. 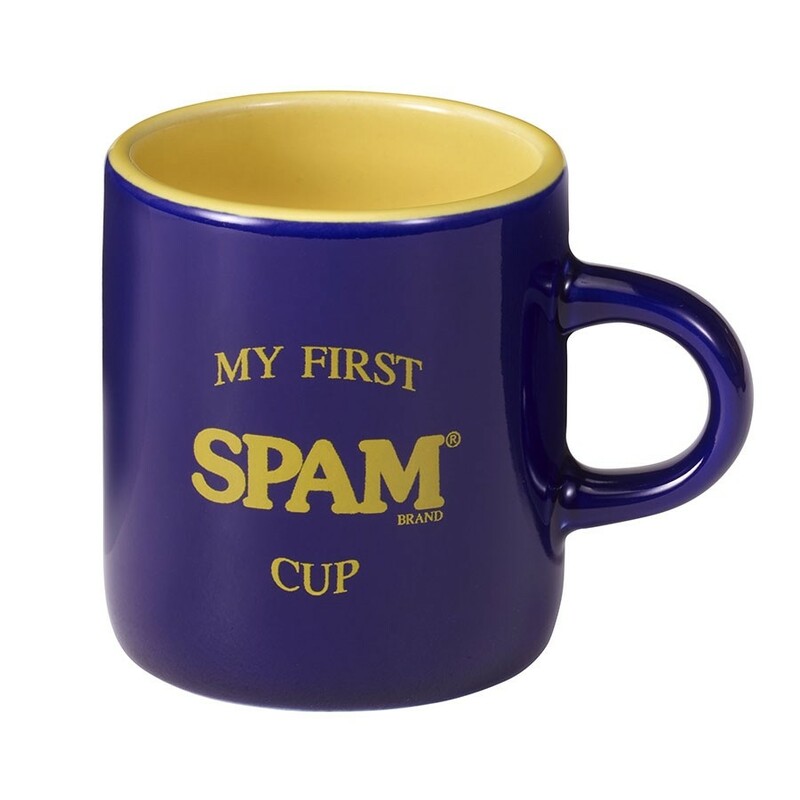 A miniature blue ceramic mug with "My First SPAM® Brand Cup" printed in yellow. 2-1/2" tall. ***We are unable to ship this item to California.